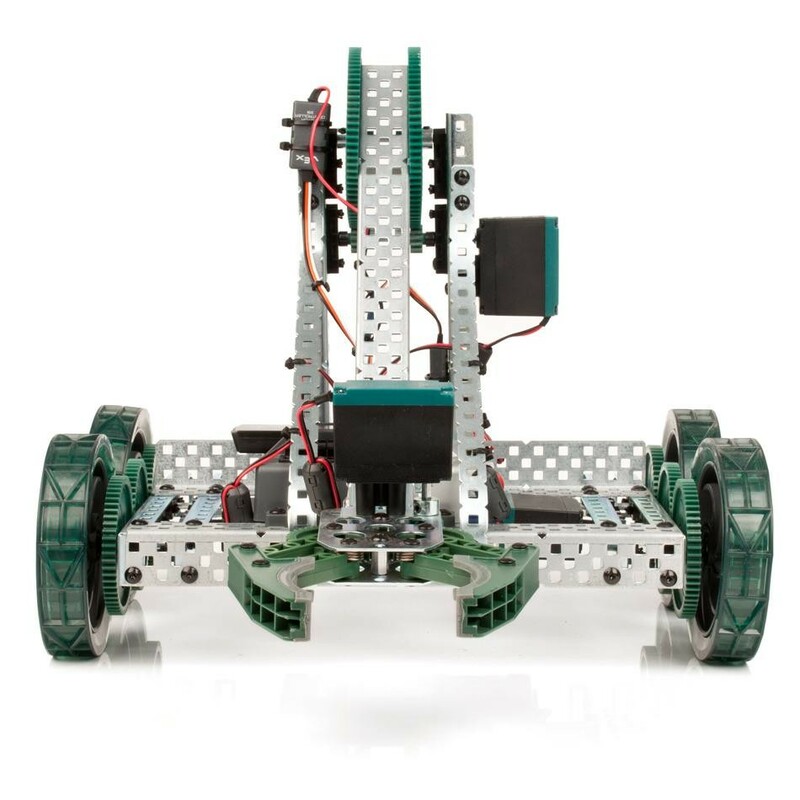 The VEX Clawbot Kit is the foundation robot kit in the VEX Robotics Design System. 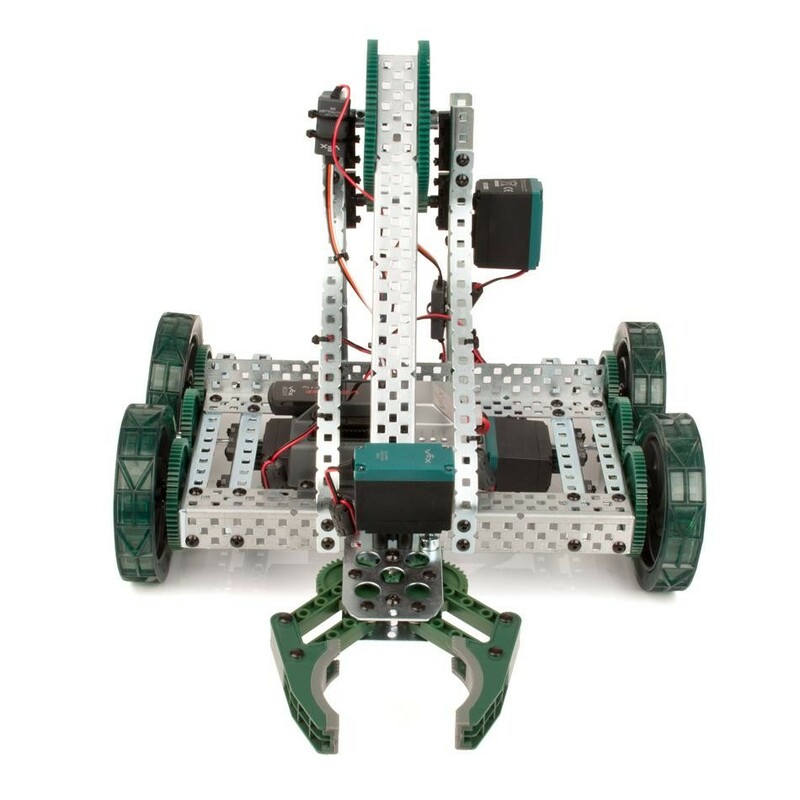 Included as the basic robot in all kits, the step-by-step instructions guide users in assembling the robot as they learn to work with the VEX Robotics Design system. This is not a complete robot kit. 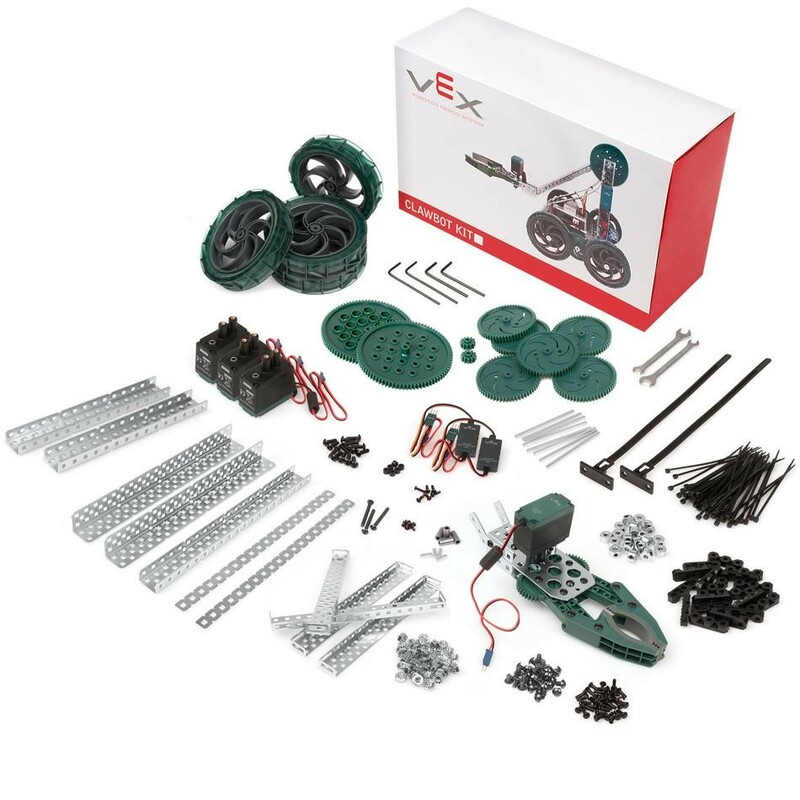 For a working, drivable robot, try the VEX Programming Control Starter Kit or the VEX Dual Control Starter Kit. Availability: 18 In Stock. Backorder available. This is not a complete kit. 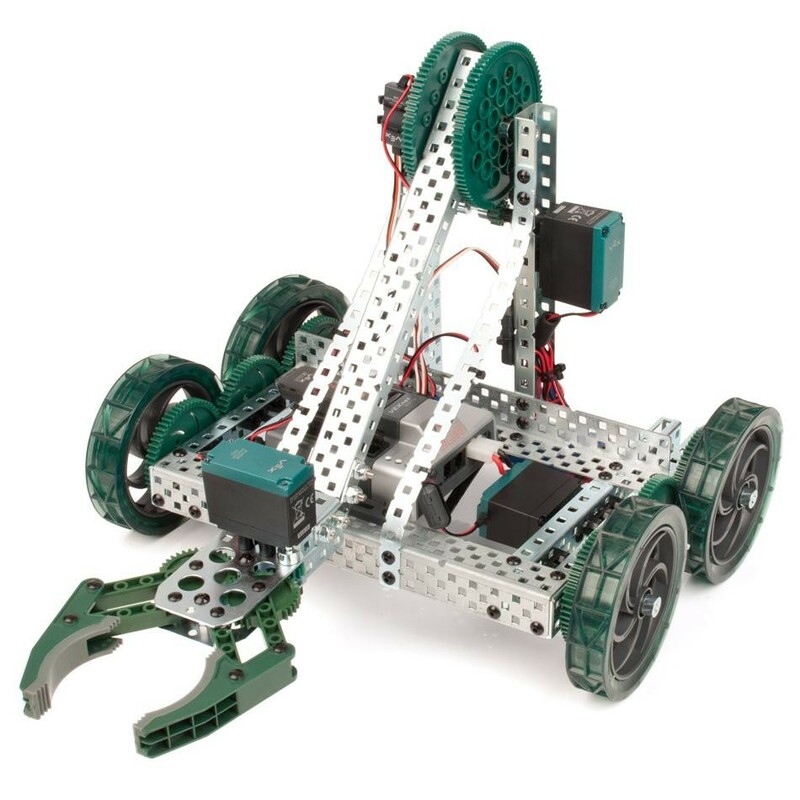 For a working, drivable robot, you need the Dual Control Starter Kit. Kit includes 300+ parts (detailed list under Additional Info tab) and step-by-step instructions. (4)2-Wire Motor 393 High Speed Gear Sets.